Orlando and the surrounding cities and towns have thousands of lakefront homes to choose from... in fact Lake County alone has over 1,200 lakes… but not all the lakes are the type of waterfront that you may want. Regardless of whether the lakefront property is on a big lake or small lake, waterfront homes are considered prime real estate with high demand for homes on good lakes with top appreciation and a higher sales price. Lakes can have sand bottom, muck bottom; there are skiing lakes, fishing lakes, spring–fed lakes, swampy lakes and lakes only good for the views. Or maybe just for dogs to play in. 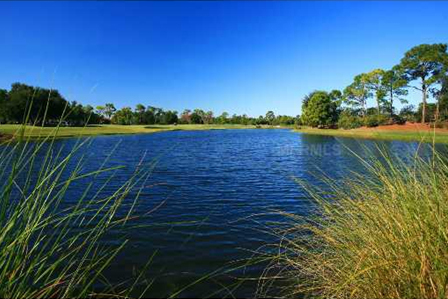 Lakefront property in Orlando is made up of all kinds of lakes. Tell us what you have in mind. If you can boat on the lake that is a big plus. If the lake property is on a “Chain of Lakes” that can access additional lakes from the primary lake, that is extra desirable. If the lakefront property in Orlando is a spring-fed lake that maintains the same level of water all year round that is much better than being on lake where the water level may get so low during dry season and your dock may be high and dry. Unobstructed water views are ideal with a lot of running feet along the shore line…the more frontage the better. The location on the lake, the city it is located in, the surrounding amenities and the value of the house on the lake, all factor into the asking price. 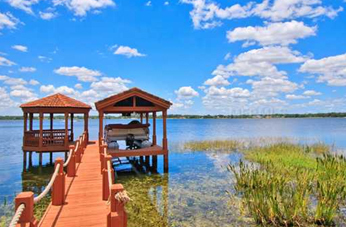 Lakefront property in Orlando is not necessarily the priciest of all waterfronts. There are chains of Lakes in Windermere that bring top dollar while rural lakes on unpaved roads may be a bargain, with drastic price differences. What is your lake front or lake view preference? Waterfront, Lake front, or canal front?